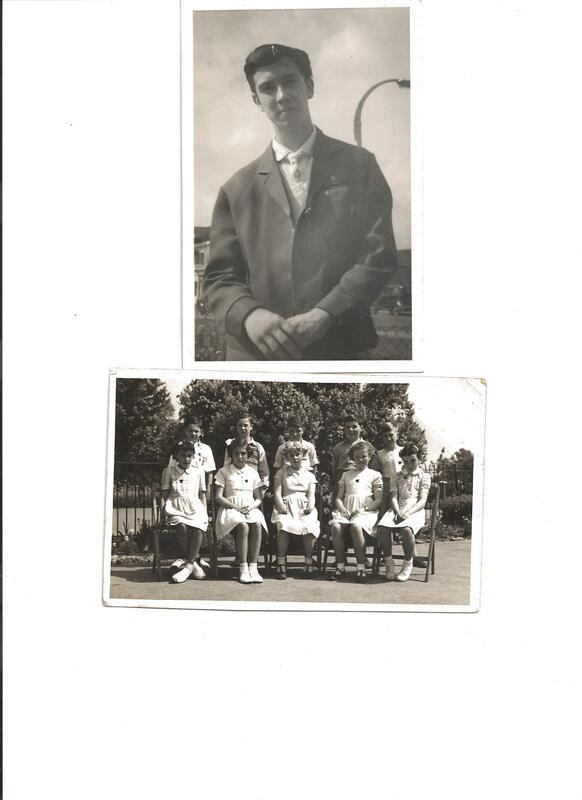 These are two photos of Roderick Downes. One of him aged 16 years old and when he was working at the ‘Bug Hutch’ in Tilbury. The other photo is Chadwell St. Mary school captains and prefects. From left to right Derek Weeks, Rod Downes, Michael Harris, Bruce Wilson, James Edmeads.Girls from left to rightCarole Hill, Janice Spackman,, Mary Tyler, Jill Thompson, Eileen Beauchamp.